Hey Laura, how did you get into this business? It was a bit of a tortuous route! I originally studied architecture at university, then went on to work for a contemporary furniture company in London as their retail manager. After nearly 10 years in London, I knew that I was ready to start my own business, doing something creative but also retail-based, which lead to me moving back up north, re-training in floristry and opening my flower shop in 2006. What kind of wedding services do you provide? We’ve recently closed the retail side of the business after 12 years in order to concentrate fully on wedding flowers. So we are now a dedicated wedding flower studio, which gives us much more time to spend with our lovely couples! We provide all the floral elements for the big day, from the bridal flowers to table centrepieces up to floral archways and installations, which are becoming more and more popular. What sets you out from your competition? I really enjoy the process, and getting to know the couple in the run-up to their wedding day. I believe that the flowers should reflect the personalities of the people we are making them for and should set the tone for the whole wedding day. So we meet up for an initial consultation and then keep in touch along the way before finalising and organising the logistics. I only take on one wedding per day, as I want to be able to give my full attention to that couple and make everything perfect for them. 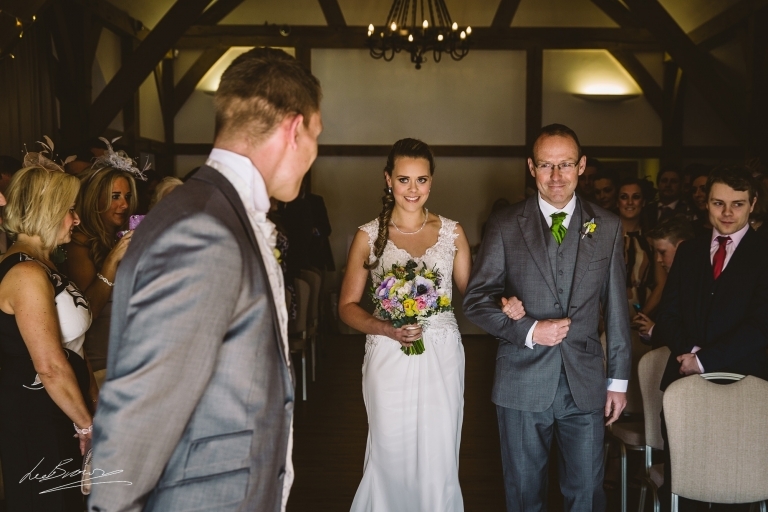 Presenting the bride with her bouquet is always the last thing I do, normally around an hour before the ceremony – it’s the best feeling when you know you’ve got it right! Dogs or Cats? Dogs, although I’m allergic to both. Favourite Holiday Location? I love a European city break! Which actor/actress would play you in a movie? That’s too hard!! What’s the best thing about the service that you provide for your couples? 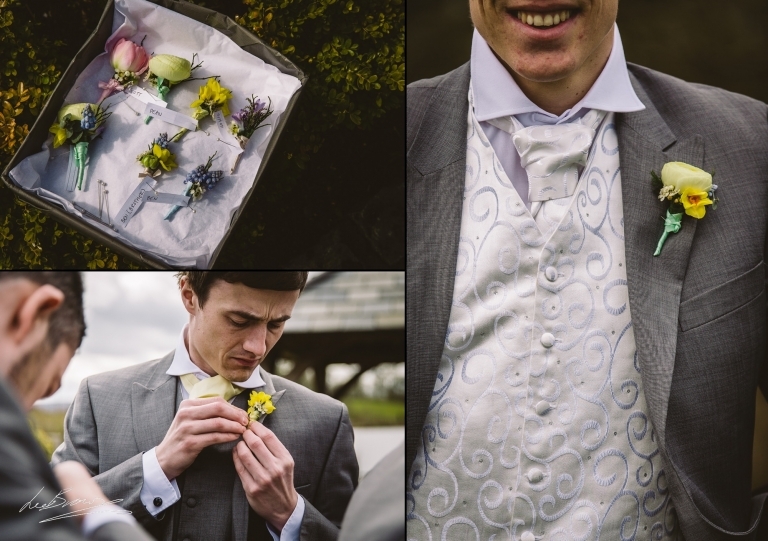 I think it’s probably the bespoke nature of what we do – every wedding is so different. We don’t do packages or set options – we try and make everyone unique. 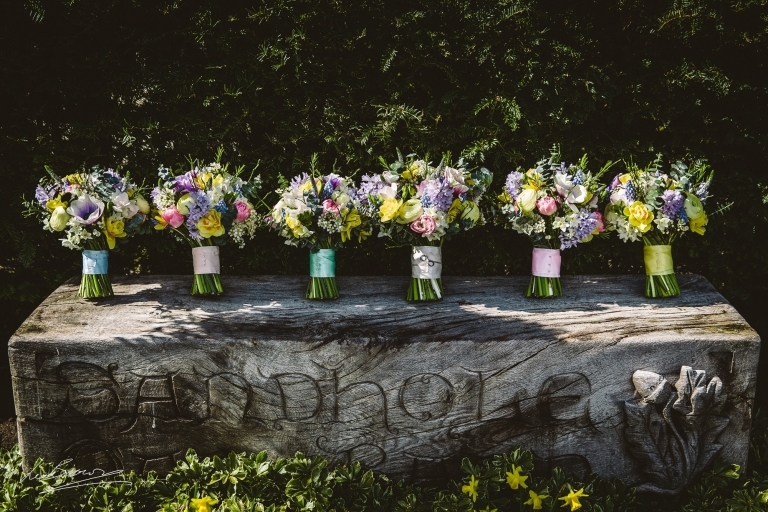 And we have wonderful suppliers that offer us an overwhelming selection of the very best quality flowers. What’s the most common mistake couples make in terms of the service that you provide? Most couples have no idea how much wedding flowers cost, and very often come in with an unrealistic budget which doesn’t reflect what they want. Or they won’t be honest about how much they want to spend! I will always try and guide couples to spend their budget in the most economical way, advising where things can be moved from one venue to another for example, but we need to know roughly how much we’ve got to work with first. How do you tend to resolve this? I always ask couples to give me an indication of their budget before their consultation, so I can point them in the right direction. Also, as we’ve worked at all of the major wedding venues in the area before, I can advise them where it’s most effective to spend their dosh. Any advice that you can give to couples from your experience? Be flexible! 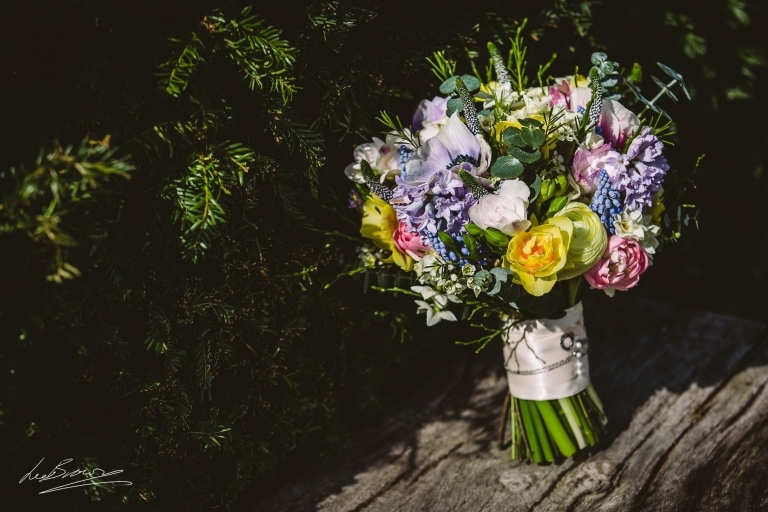 It’s much easier for your florist to work to a style and colour theme rather than ask them to recreate an exact bouquet with very specific flower varieties. Also, trust your florist to work their magic – we live and breathe flowers and work extremely hard to make your vision a reality. What would you do with a million pounds? Retire and eat cake? What do you chat about with couples in the run-up their wedding day? Anything and everything – the more we get to know about them the better. We have to know quite a lot about the logistics of the day – where everyone’s going to be and at what time, what needs delivering where etc. We also have to work closely with the other suppliers, for example, the cake maker, to coordinate timings and colour schemes. What’s the one essential question that couples should ask you but don’t always? I probably ask far too many questions so there’s very little we don’t cover! What’s the best way for couples to find you or see what you do? We have loads of images of our wedding flowers on our website, and we also exhibit at a couple of wedding fairs during the year. I always meet couples at the studio for their consultation so they can see where the magic happens! If you weren’t doing this with your life, what would you be doing? I’ve always been a collector and love anything vintage, so maybe a vintage furniture dealer?